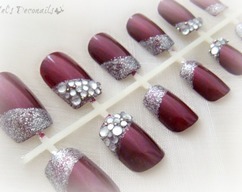 A cool nail set in different shades of grey. 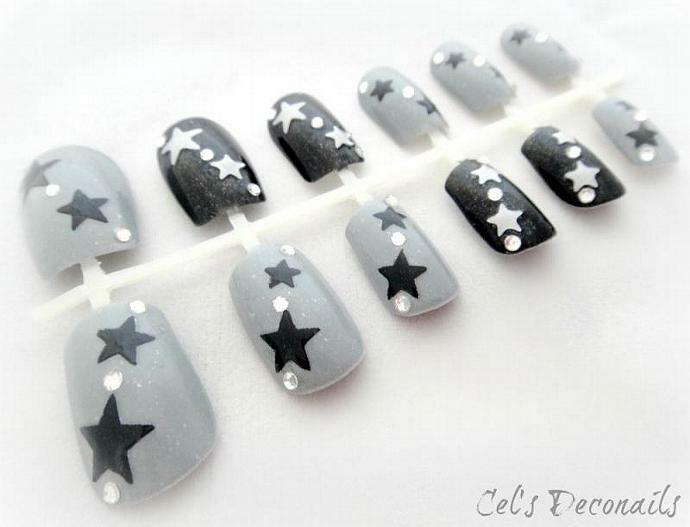 Black and silver stars on grey or black, accompanied by Swarovski crystals. 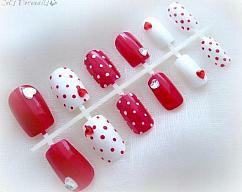 All painted with high quality nailcolours and topcoat. You can file each one to the size you want if needed. 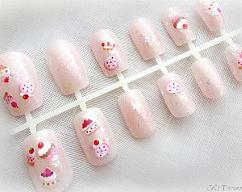 You can use nail adhesive tabs if you want to use these nails many times or nail glue for a one time use. Each set is shipped with a set of adhesive tabs so you can enjoy your new nails immediately. 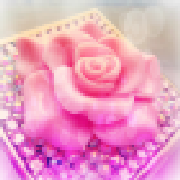 All items ship carefully packaged by registered mail.